We are currently hiring for HVAC apprentices to join our amazing rapidly growing team. This opportunity will pertain to HVAC installation and working under a lead technician within an installation crew. We highly value a positive attitude and professional work ethic. Have the ability to lift 50 pound boxes to a height of 3-4 feet and load them into trucks. Have the ability to learn technical material. Constantly works in outdoor weather conditions. Ability to ascends/descends a ladder and stairs to service equipment. Constantly positions self to maintain HVAC, including closets, basements, attics, roofs or other confined spaces. The person in this position frequently communicates with customers who have inquiries about their systems. Must be able to exchange accurate information in these situations. Must be able to detect specific equipment from long distances. Constantly operates tools and other productivity machinery, such as a pliers, machine, and computer based CRM. Must be able to remain in a stationary position 50% of time. HVAC installation: must be able to install 80% and 90% efficient furnaces with PVC venting experience for high efficient furnaces. A/C and Heat pumps: must be able to install 13-18 SEER A/C and Heat Pumps, including Visionpro IAQ t-stats and all required wiring. Water Heaters: Rinnai experience a plus, must be experienced in installing basic water heaters, but high efficient tanked and tank less water heaters is a plus. We are a mid-sized heating and air company located in Denver and are seeking a very motivated outside sales person. HVAC residential sales experience is a plus, but any sales experience will qualify. Training will be offered and motivated individuals will find this position very rewarding. 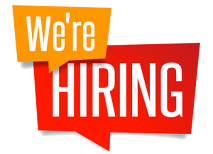 We are currently gearing up for our busiest time of the year and this position would be as the primary sales person for our HVAC department. We stay busy year around so this is a great career opportunity with potential advancement in the company. Join our team and become part of one of the best industries in the state.